A recent dry spell in the Bay Area ended Wednesday with a storm that brought heavy rain and strong gusts to the region. High gusts sparked a Wind Advisory for parts of the Bay Area that was lifted at 7 p.m. The heavy wind also toppled trees throughout the region. There was no estimated time for restoration, according to PG&E. 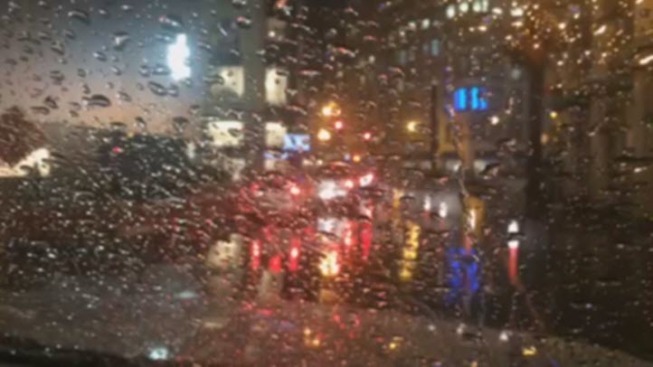 The storm also prompted cancellations and delays at San Francisco International Airport. SFO officials said at least 70 cancellations were reported at the airport. Earlier in the day, a fallen tree on a BART trackway temporarily halted service between Union City and Fremont. Thursday's forecast will be mostly cloudy with a chance of showers. Highs will be in the lower 60s, and southwest winds could reach to 10 to 20 mph. A secondary, smaller weather system will then pass through the North Bay on Friday, bringing a chance of light rain to the area, according to the National Weather Service. A storm will continue to sweep across the Bay Area Thursday. Chief Meteorologist Jeff Ranieri tracks how much we'll accumulate. Plus, another chance Friday in your Microclimate Forecast.